How to test if a fish sleeps? They don’t have eyelids, so it may be hard to tell – but if you keep a fish awake for long enough so that it needs to catch up on the lost naps, you’re getting somewhere. 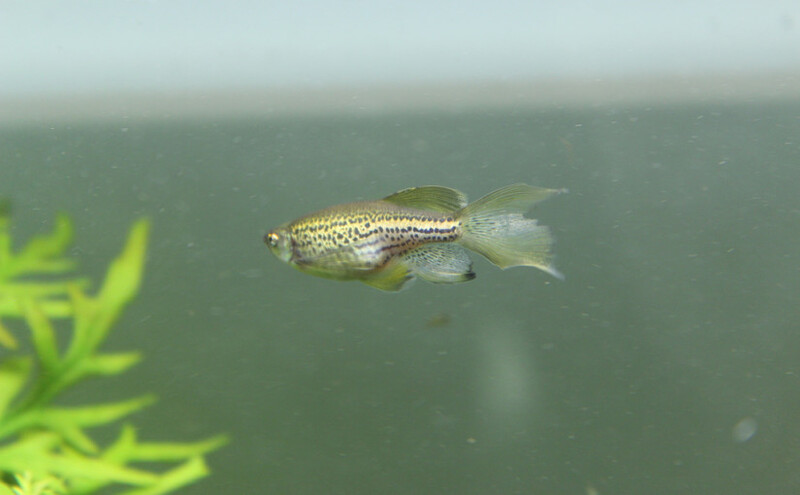 Zebrafish (Danio rerio) have proved to be an excellent model for studying sleep disorders, such as insomnia and narcolepsy. One might think that a mammal would be a better study subject for drawing parallels with human sleep problems, but zebrafish are actually excellent research subjects for a range of investigations – they are cheaper than mice, and their larvae start out transparent, making it really easy to study the nervous system. Back in 2007 Stanford animal researcher Tohei Yokogawa discovered that when zebrafish (Danio rerio) droop their tails and hang around motionless close to the bottom of the aquarium, they’re actually sleeping. The researchers also discovered that if they keep fish awake all night by zapping them with mild, harmless electrical currents, the zebrafish will then make up for lost sleep by snoozing during the day – provided the lights are off. If the lights are on, however, fish won’t sleep any more than they would otherwise. Of course, induced sleeplessness is not the same as the nighttime insomnia which accompanies narcolepsy – a condition characterised by daytime sleepiness, random bouts of muscle collapse, and problems sleeping at night. In humans it seems to happen due to a failure in the receptors which transport the neuropeptide called hypocretin. In zebrafish, researchers have found a genetic mutation which also creates such a hypocretin deficiency – however, it doesn’t cause daytime sleepiness; the only narcolepsy symptom zebrafish appear to have is the insomnia. All this means that fish and humans deal with sleep debt differently – a fish with narcolepsy doesn’t fall asleep during the day because it’s bright out, and the light keeps them awake. The same mechanism is not strong enough in humans – which tells us something about how we process the hormone responsible for keeping us awake, melatonin. In fact, I’m embarking on an intercontinental trip very soon, so melatonin will become crucial in beating jetlag. But more on that in a few days’ time.